The folks at Sera-Apps, a German group of Android developers, have not only managed to get their hands on a prototype of the Samsung Galaxy Tab a month before the device goes on sale, but they managed to root the device at IFA, the world’s largest consumer electronics show being held in Germany. Whether the final version of the Galaxy Tab that’ll be released in the US can be rooted the same way as the trade show model remains to be seen. And how exactly Tim at Sera-Apps did the rooting isn’t exactly clear, but he did get a screen that shows he’s been granted superuser rights. Will this lead to Samsung’s locking down of release models of the Galaxy Tab? 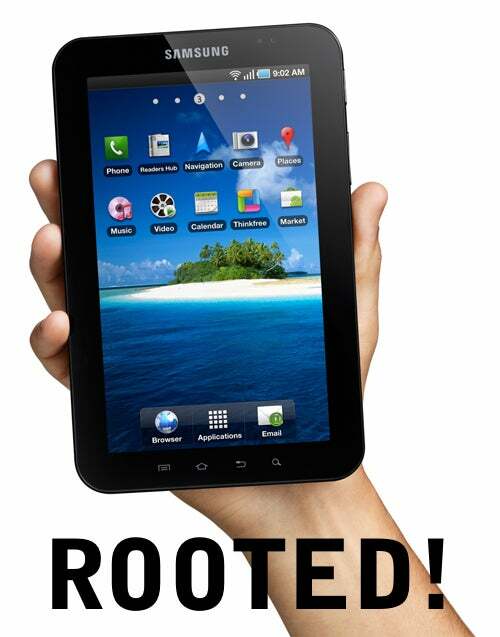 Or will Samsung let hackers do what they want with this tablet? Or will this pave the way for performance upgrades, improved keyboards, and more implementation of multitouch for the Galaxy Tab? Let us know your ideas in the comments!